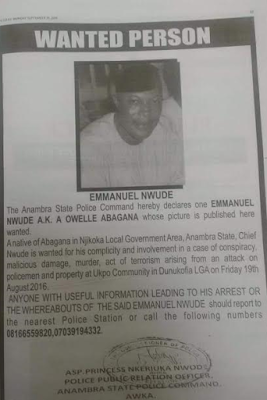 Anambra State Police Command has declared wanted, Chief Emmanuel Nwude, (Owelle Abagana) over involvement in a case of conspiracy, malicious damage, murder, act of terrorism and attack on policemen. Chief Nwude, from Umudunu, Abagana is a convicted Advance-Fee fraudster. He and his accomplices were in 2005 convicted by a federal high court for pulling the biggest 419 fraud in history. Before his conviction, Nwude was the biggest shareholder in Union Bank Plc, and had controlling shares in several banks and blue chip companies. In a plea-bargain handled by the Economic and Financial Crimes Commission (EFCC) Chief Nwude agreed to forfeit cash and property to the tune of 120 million US dollars. 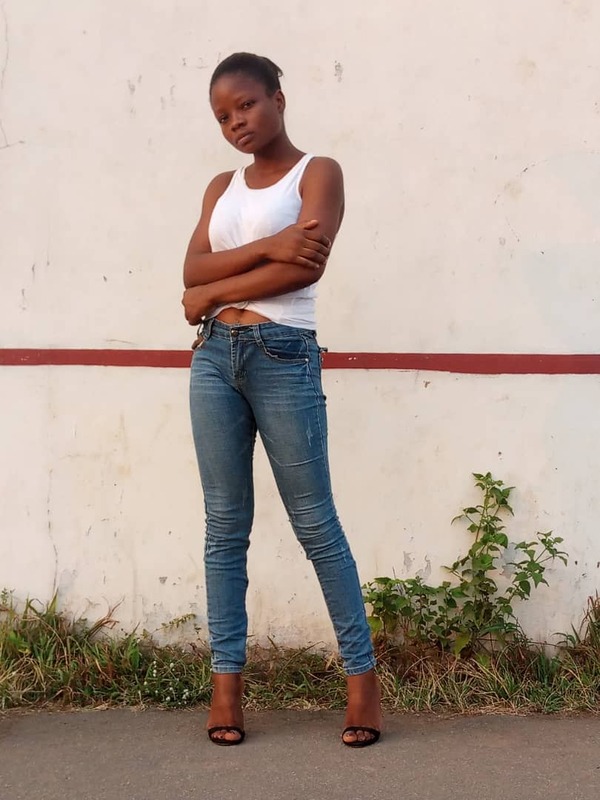 The agency seized several of his properties, including the popular Febson Mall, Abuja, a glass tower in Ikoyi and choices cars. He is believed to have tens of millions of dollars stashed in the accounts of fronts in Nigeria and overseas.